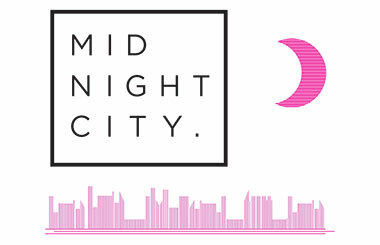 Midnight City bring you Ireland’s most exciting electronic acts every Thursday from 11pm Upstairs in Whelan’s. Admission is Free. Hunting Hall is the solo project of Dundalk native, Tim Shearwood. Through debut single, Helium, Shearwood looks to move forward from previous indie rock projects – The Curtain Thieves and latterly Third Smoke – and into a more electronic, immersive world. His opening gambit is a wonder of conflicting feelings. Here, submission and defiance compete in angst-fuelled lyrics while lush rhythms lift the battle upwards – reaching an almost spiritual end point. The alchemy of moving the troublesome into the sublime – and Shearwood has the temperature just right. It’s a beguiling track which shows masterful command of emotions – guiding us on a winding pathway between structure and chaos. It’s also a distance removed from his previous projects. Lo-fi this isn’t. Each note is crystal clear and delivered with verve and poise from a new artist we’ll undoubtedly be spending time with this year. The unique, dance floor-filling sound of Makings can be described as electro-rock laced with rap. In January 2019 they hit the year running via a headline show at Whelan’s ‘Ones To Watch’, giving them an opportunity to grace the main stage of the legendary venue. In February they launched their EP, also in Whelan’s, and embarked on a German tour taking in Berlin, Hamburg and Kiel. They are currently working with Grammy Award winning mixer Jim Lowe (Stereophonics) on new material of which they already released the singles ‘Blackhole’, ‘Pulse’ and ‘Beck N Call’.